Yo, ho, ho, and a bottle of rum! Avast ye me mateys! Yer favorite app pirate is back for another adventure with the crew around the seven seas. But of course, this bucko will never forget leaving ye with another app review that me know you’ve all been waiting for. Me parrot pet is already flying around as it wanted to play. So let me tell ye about the app that we will review. ‘Tis called Word Crossy by Word Find. The basic gameplay is pretty easy. It will not take time even for those who are new to playing this game to learn it. You basically have to swipe the letters to form words. 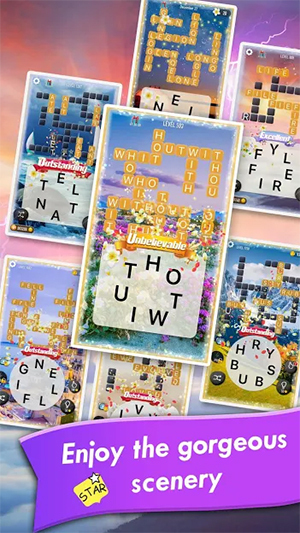 What makes it different from similar puzzle games is that it combines two word puzzle game types, which are word search and crosswords. It’s like playing the two games in one app. The words that you find must not only be any words, but they must match the ones on the crossword puzzle. Typical puzzle games have plain backgrounds on every puzzle level. This one is different because every puzzle level has a different background. While it doesn’t really have an effect on the gameplay, it enhances the game experience because the backgrounds get you entertained. Even the world map where the levels are shown also has an enticing background. There are hundreds of puzzle levels available in this game. If you enjoy playing this type of game genre, you will have plenty of playing time. This is not just a good time waster, but it can help work your brains and improve your vocabulary. The levels also get more and more challenging, which is a thumbs up because you will not easily get bored. Word Crossy is a free to download word puzzle game. However, it contains advertisements. Many free apps are known to have advertisements as this is the way that developers earn. The problem with this is that there is an advertisement after finishing a puzzle level, which can be too much. An advertisement every now and then or one that is strategically located and is not intrusive will be acceptable. This app is free to download and it’s simple to learn. It also has different backgrounds on every puzzle level, which can add to the game experience. 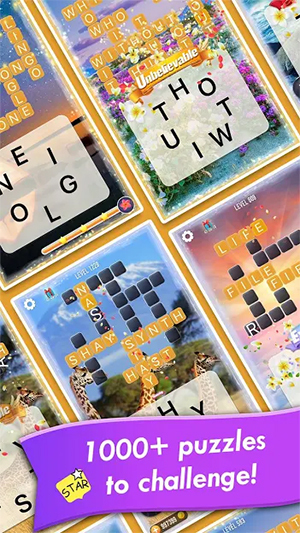 It combines two puzzle games in one, which are word search and crossword puzzle. The game gets challenging as the level increases. There are several advertisements that play after completing one puzzle. While it combines two puzzle games, there is really nothing fresh about the game. Word Crossy is a free to play word puzzle game that is easy to learn. It may have advertisements that show up after completing every level, but it the levels also get challenging. Overall, if you are into word puzzle games, this is not a bad choice.